Mark Greenberg, 60, is one of the greatest defensemen in Johns Hopkins lacrosse history, helping the Blue Jays to three straight national championships from 1978 to 1980 and a staggering 51-4 record in four seasons. A four-time All-American, Greenberg, who later helped found Israel Lacrosse, won the Schmeisser Award as the nation’s outstanding defender in 1979 and 1980 and became the first defenseman to capture the Enners Award in 1979 as the nation’s outstanding player. He was inducted into the U.S. Lacrosse Hall of Fame in 1998. Terry Hutchinson is a 15-time world champion sailor with 10 North American titles. A D.C. native who was raised outside Annapolis and still calls Harwood his home, Hutchinson, 50, was a four-time All-American, leading Old Dominion to four NCAA titles. The two-time Rolex Yachtsman of the Year (2008, 2014) is executive director and skipper of American Magic, which will challenge for the America’s Cup in 2021, one of the few triumphs to elude Hutchinson. His latest world title came in July 2018. A native of Forestville, Md., who was a multi-sport star at Suitland High School, LaMont Jordan, 39, was a running back at the University of Maryland from 1997 to 2000 and still holds the Terps’ record for career rushing yards (4,147). Drafted in the second round by the New York Jets, he rushed for 3,734 yards and scored 28 touchdowns in a nine-year NFL career with four teams. After three outstanding seasons playing under Lefty Driesell at the University of Maryland, including All-America as a junior, Buck Williams was the No. 3 pick in the 1981 NBA draft by the New Jersey Nets. He also played for the Portland Trail Blazers and New York Knicks in a 17-year NBA career where he was a three-time All-Star and made the All-NBA Defensive team four years. Wearing distinctive goggles after an elbow to the eye by James Donaldson in 1990, Williams, 58, who has lived in Potomac, Md., for 20 years, was one of seven NBA players with 16,000 points and 13,000 rebounds when he retired in 1998. Memorable quote: “People always called me a blue chip stock the way I played. A blue chip stock is going to be pretty consistent and that’s what I really tried to accomplish,” said Williams, who averaged a double double (12.8 points, 10.0 rebounds) for his NBA career. “Consistency was really important to me. It was crucial for me." Bill Boniface is a longtime horse trainer who has had more than 10 graded stakes winners, including 1983 Preakness champion Deputed Testamony, the last Maryland-bred to win that Triple Crown race. Boniface, 76, is also head of the 400-acre, family-owned and operated Bonita Farm in Darlington. The thoroughbred farm is unique in that it can breed, board, foal, break, train, and retire your racehorse on the same property. 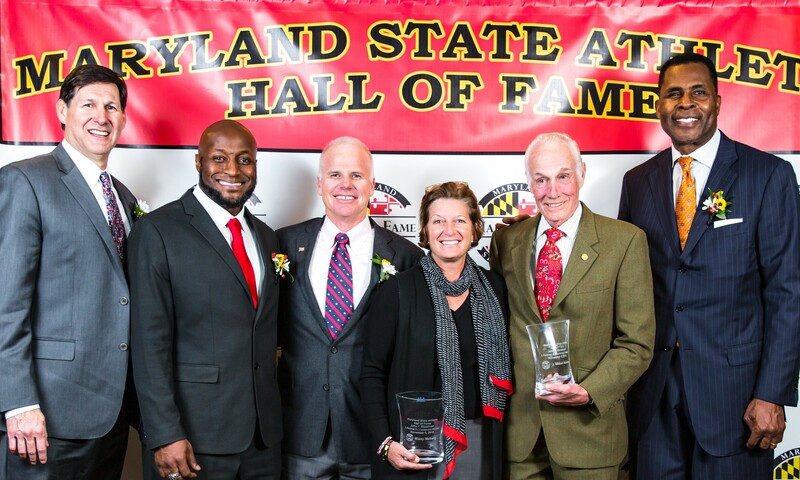 Field hockey coach at the University of Maryland for the last 30 years, Missy Meharg, 55, is the first woman to receive the John F. Steadman Lifetime Achievement Award in the honor’s 20-year history. She also is the first field hockey representative in the Maryland State Athletic Hall of Fame, which dates to 1956. Meharg’s credentials include seven national championships, 23 conference titles, and nine National Coach of the Year awards.